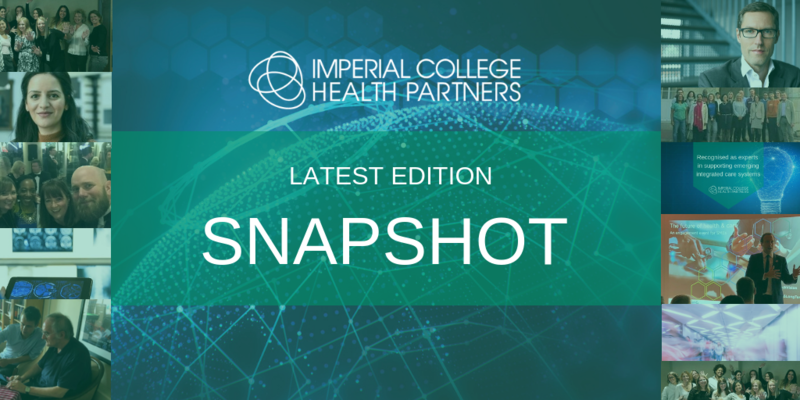 The latest edition of our external bulletin Snapshot, features the latest news, views and events from Imperial College Health Partners and is delivered for free, every month, to registered subscribers. Intrigued about what we do? Hear about the work of ICHP, our impact and the challenges we are trying to help our members solve all through the voices of our partners and stakeholders. Before signing off I want to say a huge THANK YOU for being so kind & welcoming!! Another part of my job I really enjoy is acupuncture. I am trained by inspiring tutors @AACP_Physio & have completed additional CPD courses. We want to change that and help create a healthy, happy and active population. Great day spent at the National Sepsis Data Summit in London today. Thanks to @Ldn_ICHP for organising this very interactive session bringing together a room of knowledgable and engaging people. Interested to see how the SOS dashboard will be developed on the future.